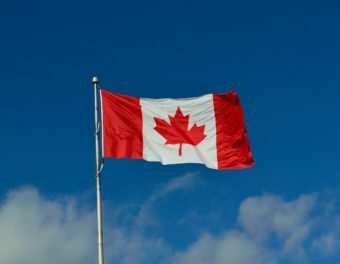 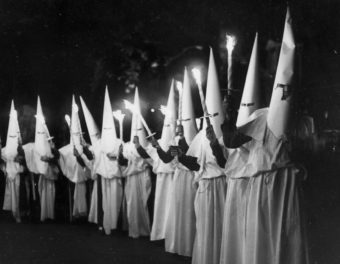 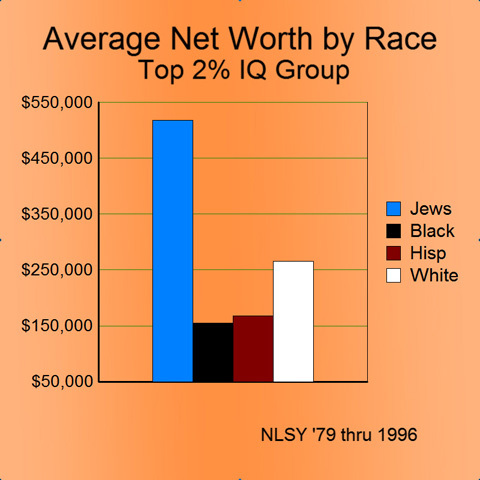 Most white Americans believe that the vast array of race preferences only effect those whites in lower socioeconomic levels — those in the bottom 20% by IQ and income. 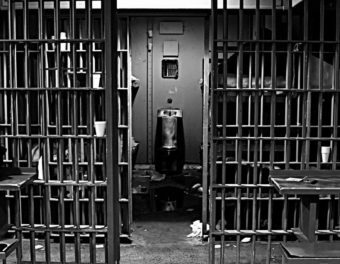 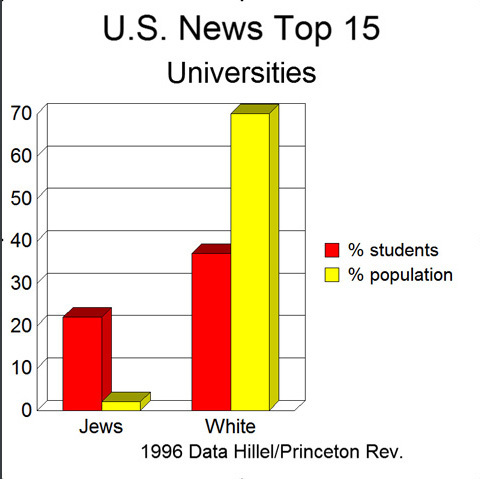 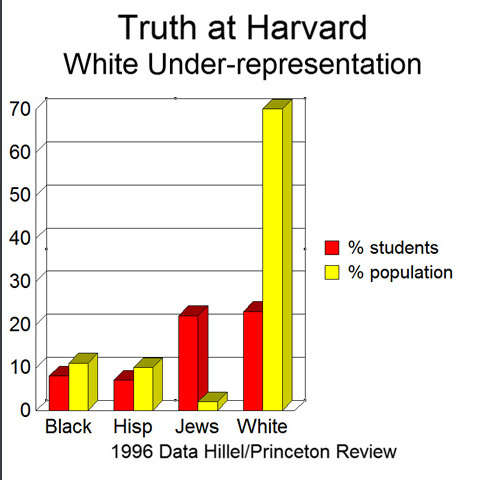 Most Whites at the highest socioeconomic levels believe that only the proverbial six or seven Whites denied admission to the University of Michigan Law School because of their race — or others whose stories make it into the media — are adversely affected. 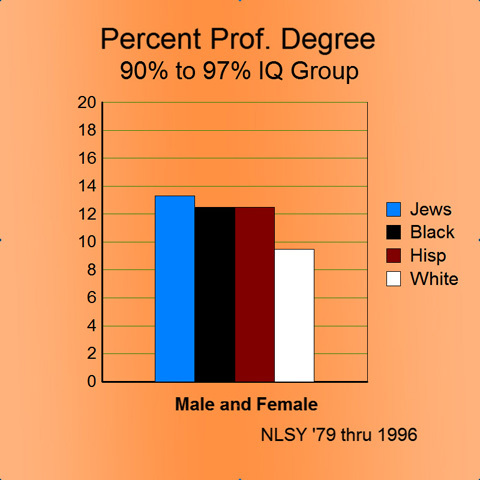 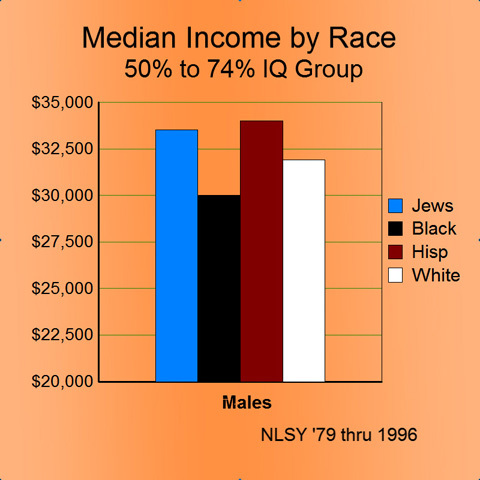 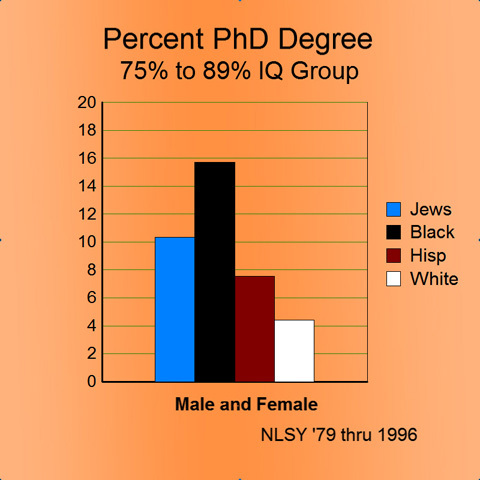 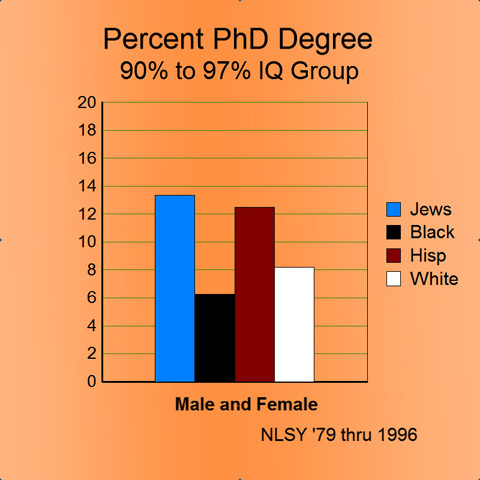 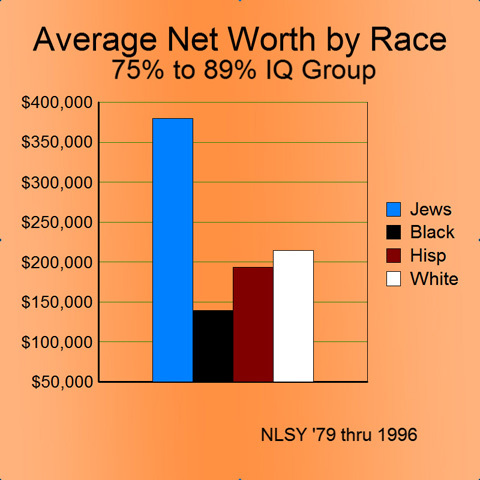 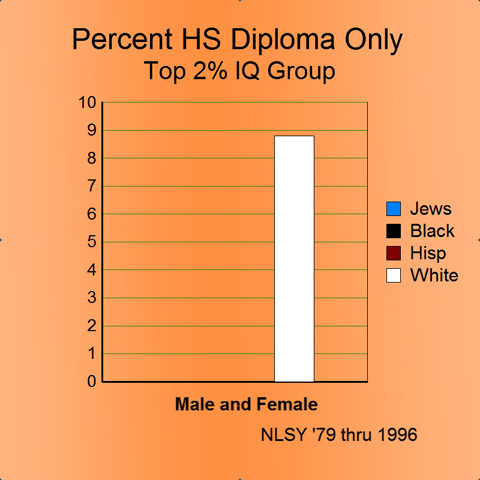 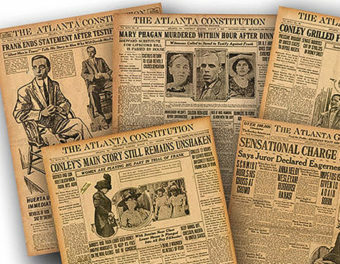 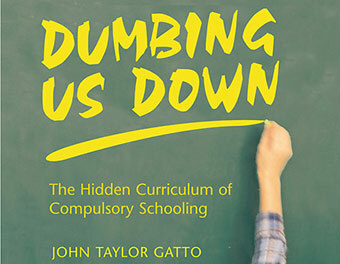 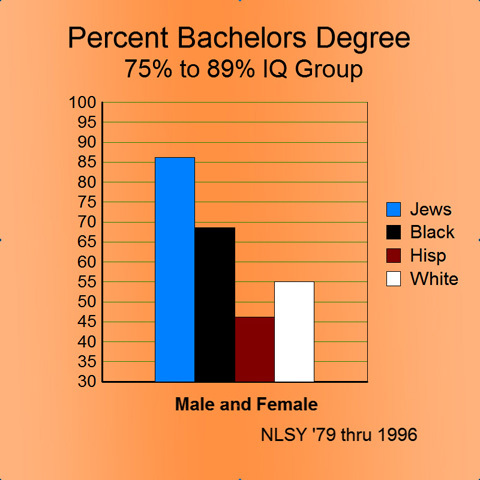 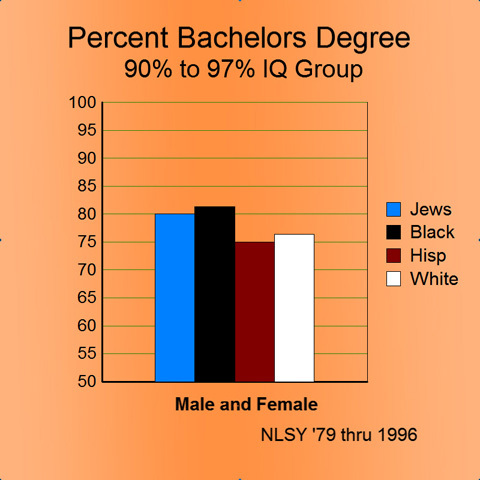 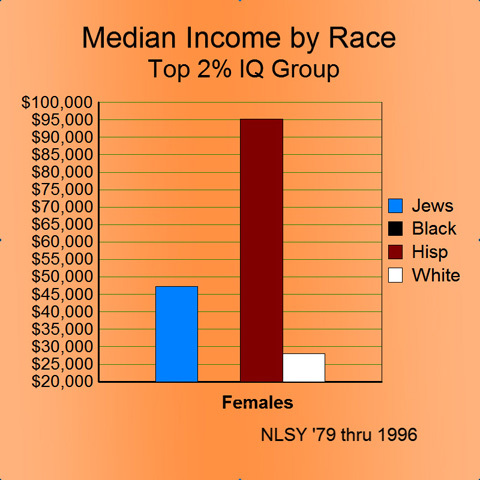 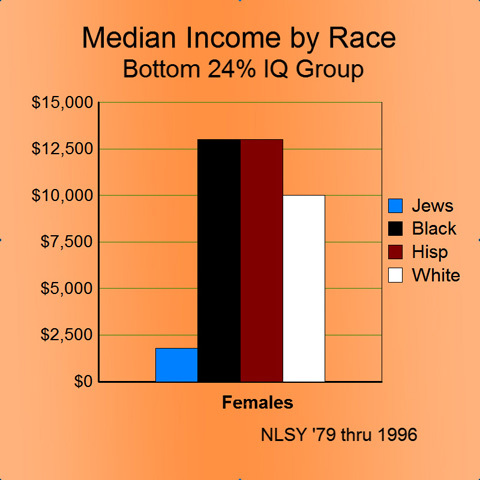 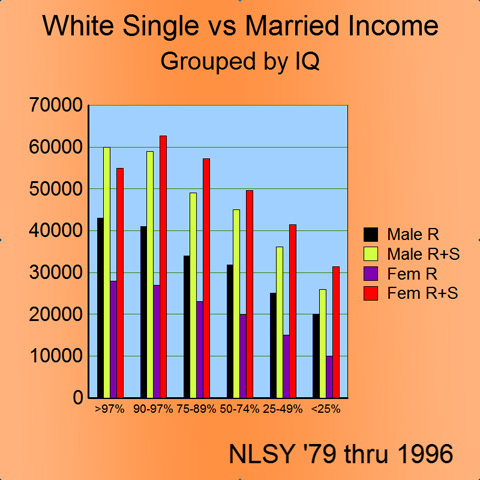 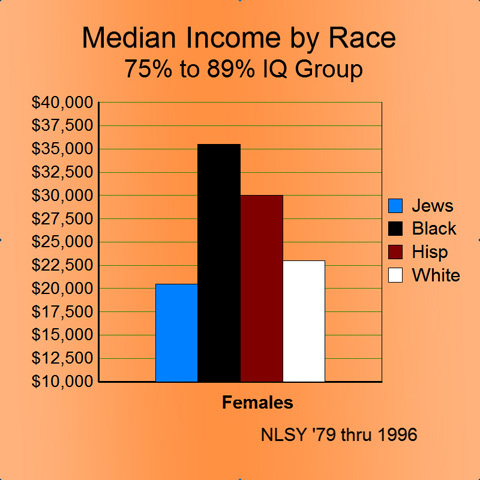 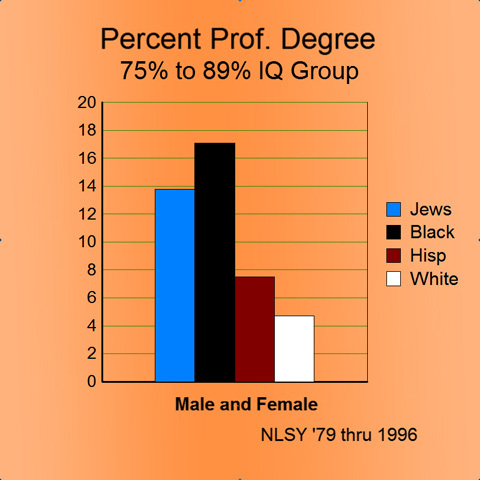 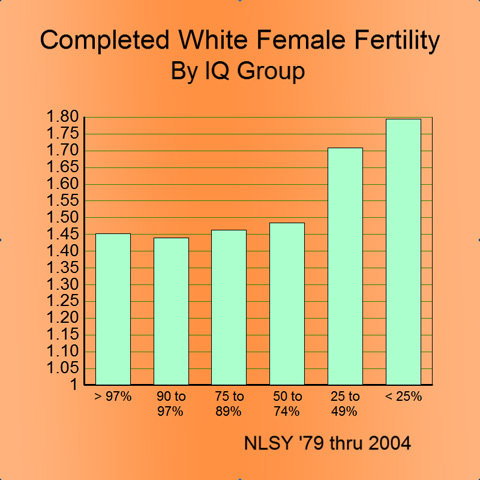 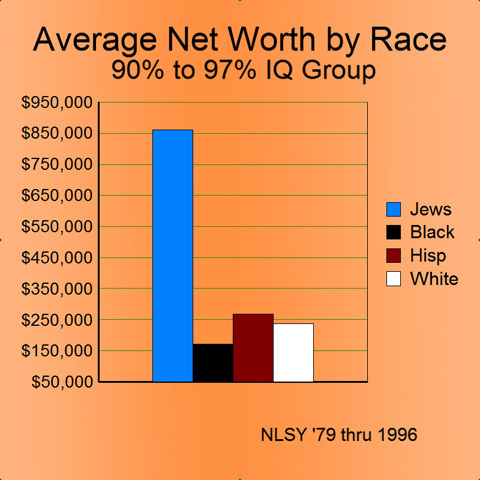 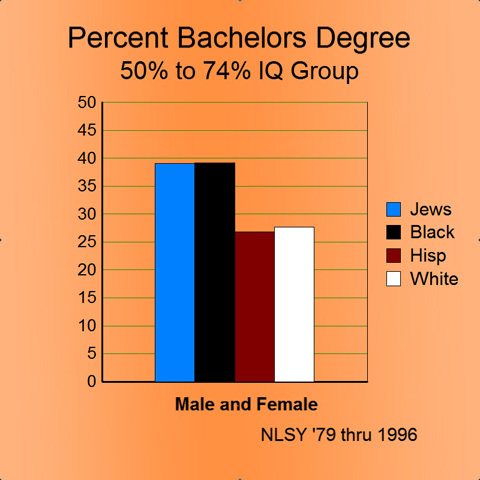 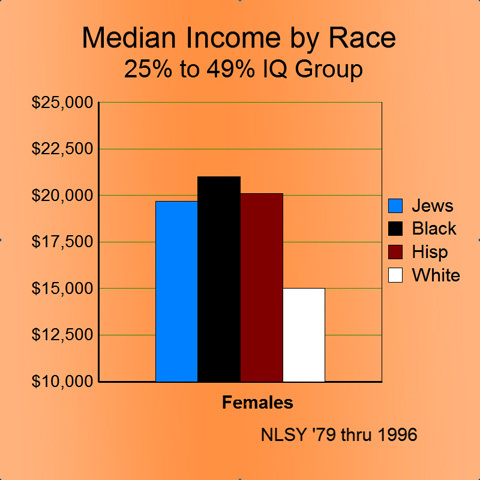 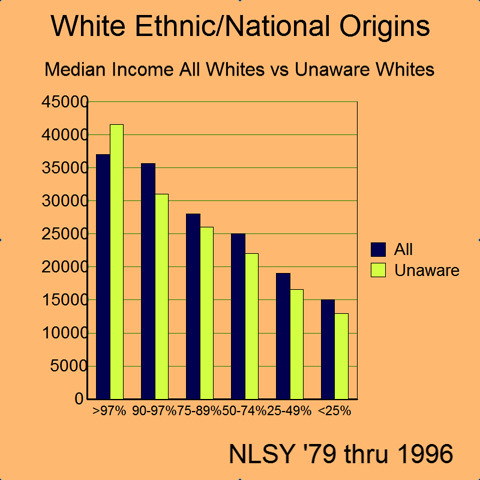 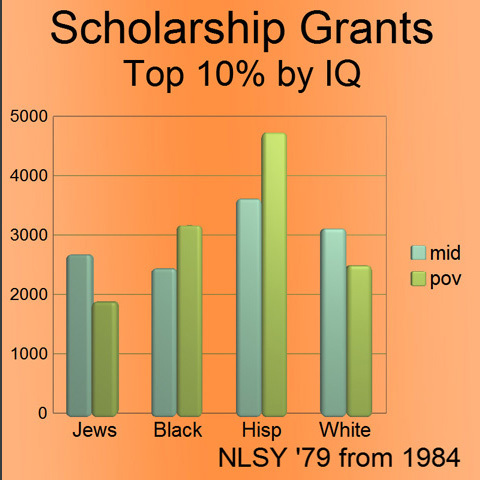 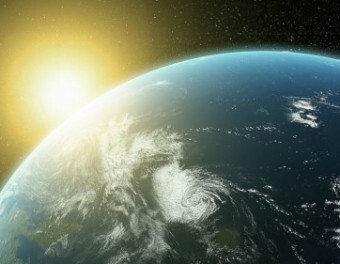 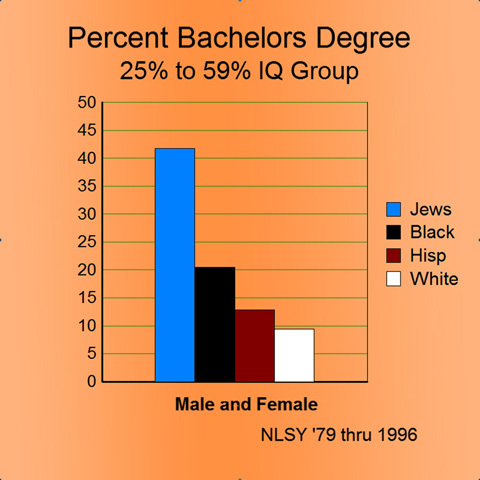 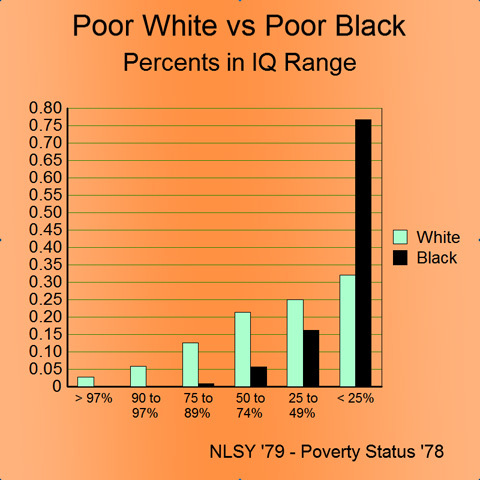 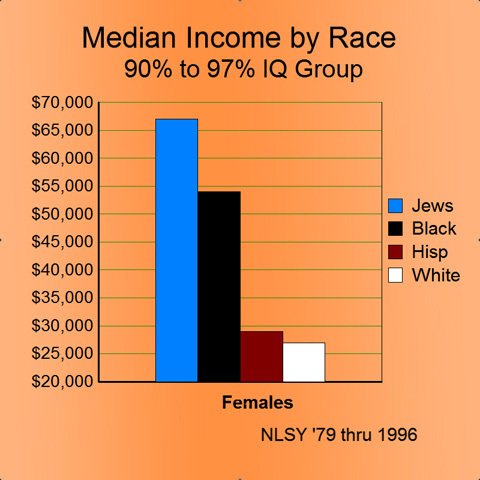 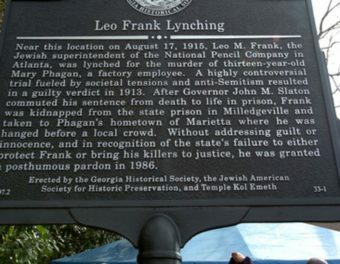 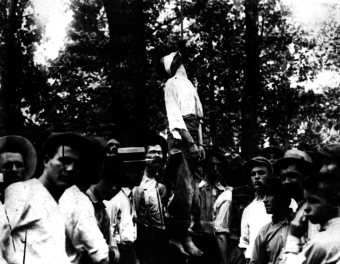 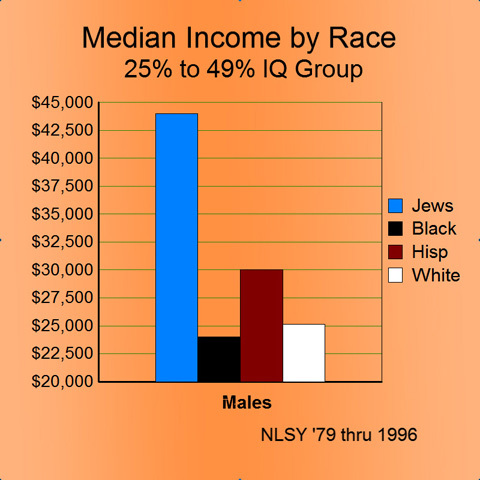 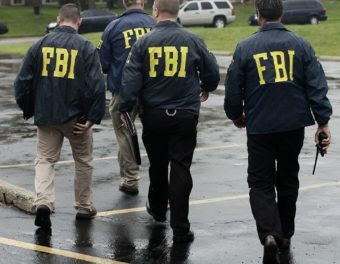 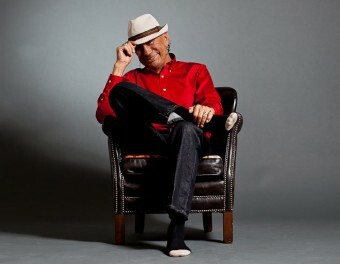 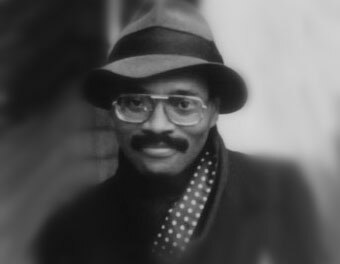 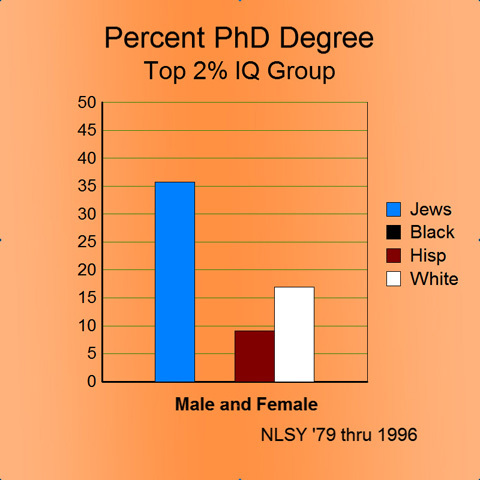 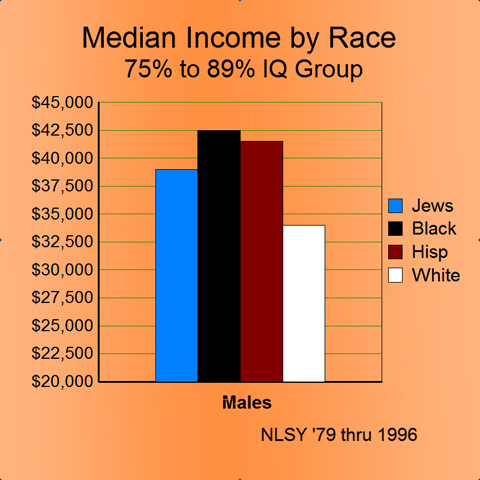 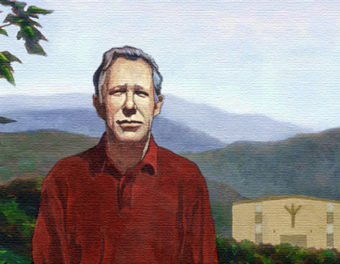 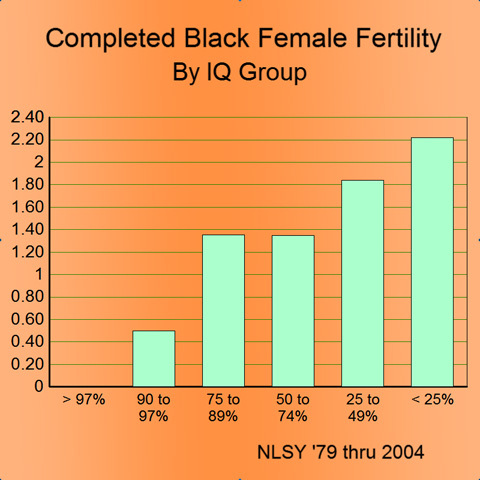 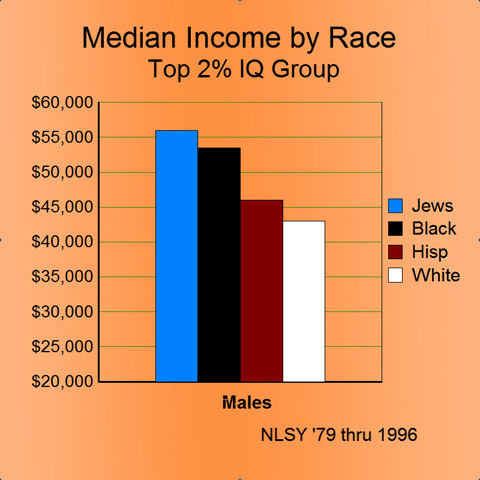 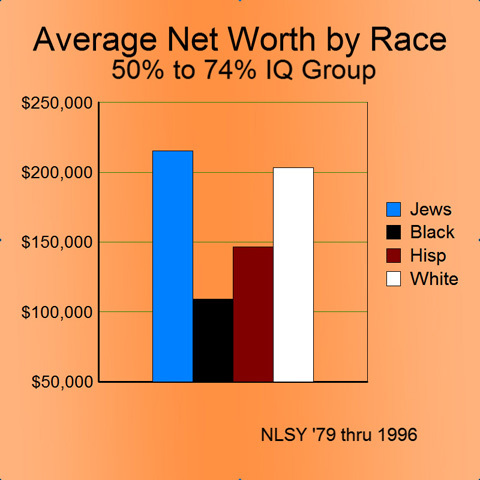 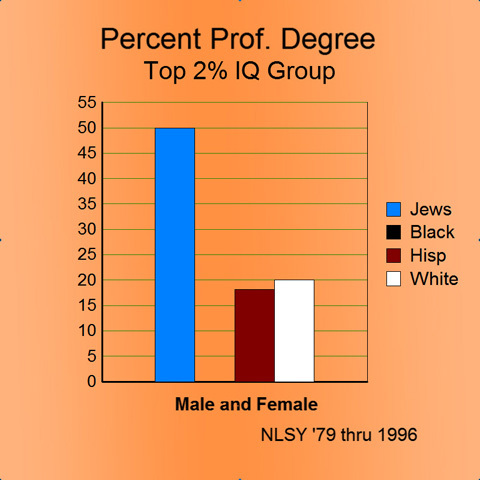 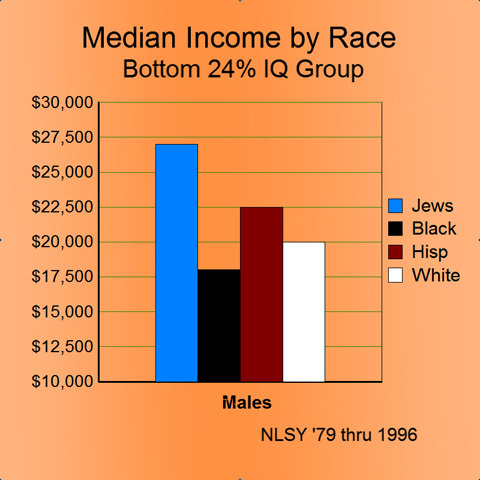 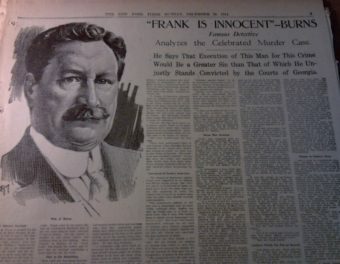 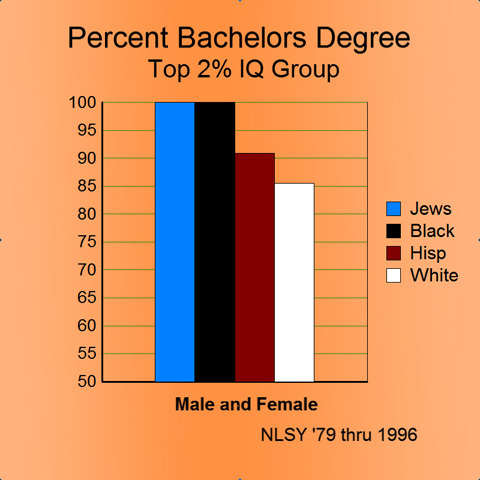 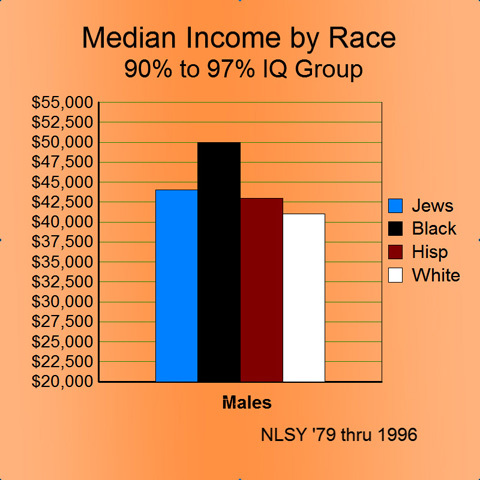 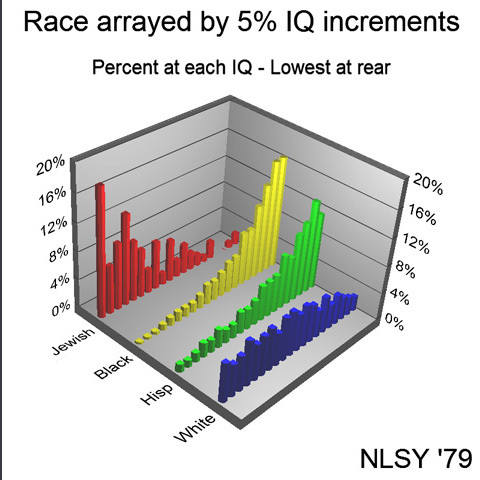 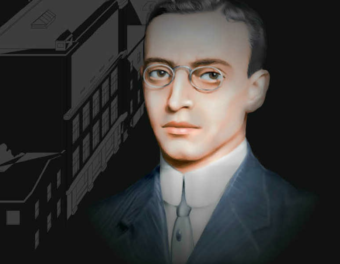 As long as IQ tests find only a microscopically tiny, “statistically insignificant” percentage of blacks and hispanics to possess so much as the “intelligence quotient” of the average American white grape (to say nothing of white males or females), this seems much ado about not very much. 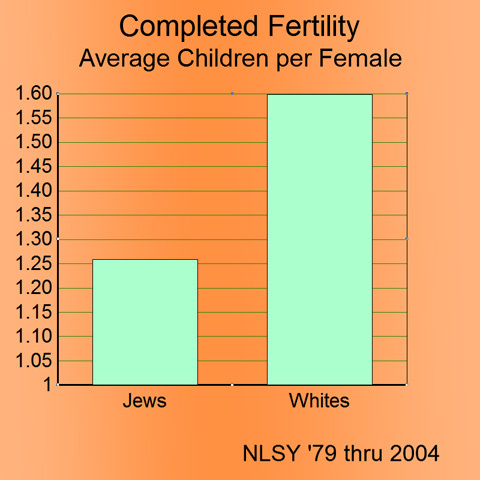 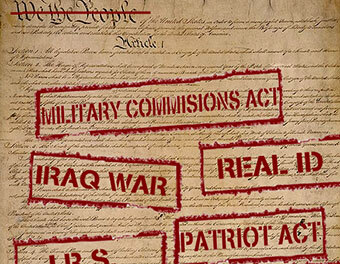 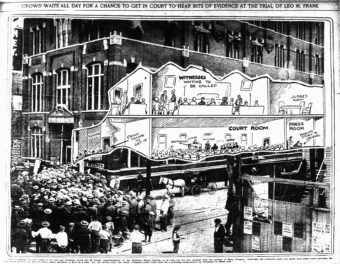 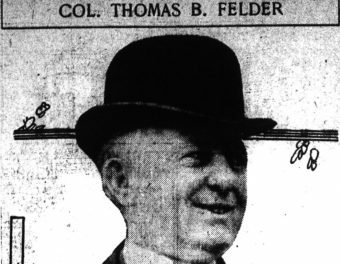 Nice graphics, though (anyway, a lot of them).